Are buyers the key to your ABM tech stack? 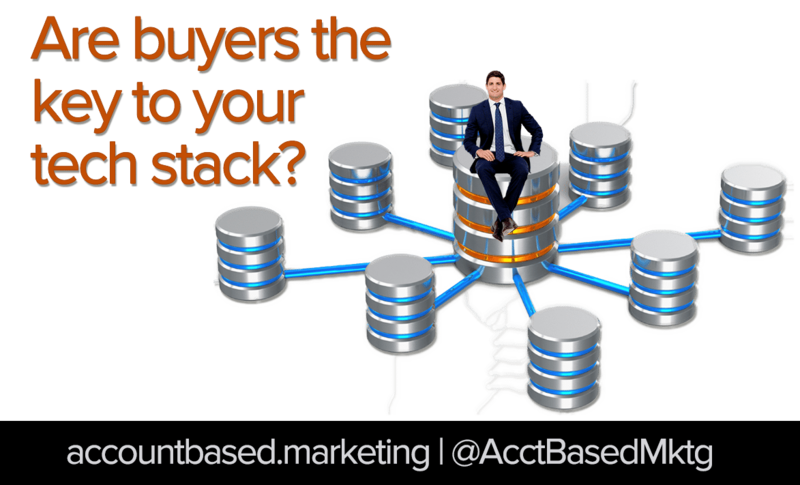 Do you really know your buyers? For the billions of dollars spent on B2B marketing technology, isn't it paradoxical that we're moving further from our audiences? Sure, we deliver a LOT more messages but are we delivering value through hem? Do we even know what buyers need? The issue is that the modern pursuit of technology has blurred the reality of our audience (i.e. buyers at target accounts). Each platform wants to become the place for a certain activity, but results in fragmenting and hiding the engagement we earn. In exchange for the scale of messages we've shifted focus from those we're trying to influence. Rather than helping buyers buy stuff, we've somehow decided to tell them what we think they need. This is the root cause, the inside / out version of what B2B marketing has become. Quick quiz... no trick questions... how many target buyers with sales engaged Opportunities are currently in your marketing automation nurturing flows? Bonus points if you can tell me that their subscribed content as the same as what the sales team is talking them about. Take a moment to check out this short video I put together to help demonstrate the underlying issue. This is perhaps one of the greatest gaps in current B2B marketing thought leadership. While the world is racing towards new channels and platforms, your audience, the ones you really want and need to engage, are wondering why you're trying to confuse them. McKinsey did some research on the subject and found that B2B Buyers use an average of 6 channels to engage vendors in their purchase consideration set, yet 67% leave the experience disappointed. Solving the customer experience issue, knowing who buyers are and what they need, is the top priority for B2B marketers who actually want to impact revenue.